PALM BEACH GARDENS, FL--(Marketwired - Jan 14, 2015) - Entrepreneur magazine has named Big O Tires one of the top franchise opportunities on its annual Franchise 500 list, which also gives Big O Tires the highest ranking of any tire franchise. The annual list serves as a guide for entrepreneurs studying business opportunities, and Big O Tires, which has more than 360 franchisee-owned locations and 40 corporate-owned locations in 19 states, ranks No. 158 on this year's list. "Big O has been helping people build strong tire businesses for more than 50 years, and has built a brand that people know and trust," said Vice President of Franchise Development Bill Ketchem. "We appreciate that Entrepreneur recognizes what Big O offers business partners and are confident that this list will help business owners find the right brand for their needs." Big O Tires is currently looking for franchise candidates who are devoted to providing excellent customer service, and who understand the opportunity to build long-term customer relationships that lead to repeat business. That comes from treating people like neighbors and helping them understand their options for tires and vehicle maintenance and repair. "The way we handle and treat our customers is very special," said Mike Trammel, who owns a Big O Tires franchise near Indianapolis. "Many years ago, I adopted a slogan here, and it's still true today: 'Our customers are our friends.' That's the way we've always done business, and that's how we will continue to do business into the future." Big O Tire franchisees enjoy a special advantage in the market: As independent business owners, they are their own bosses and control the management of their business. But they also have a huge network of tire and retail experts at their disposal. Big O franchisees work together to protect and guide the brand, and their input determines the brand's strategic direction. They similarly enjoy the knowledge, expertise and resources of parent company TBC Corporation, a giant tire retailer that also owns Tire Kingdom, Merchant's Tire & Auto Centers, NTB, Midas and SpeeDee Oil Change. Having such a vast network of resources allows Big O Tires franchisees to take advantage of volume buying discounts, coaching, and extensive research and systems to help run their individual business. Big O Tires franchisees also benefit from a sterling reputation. Big O's tagline is "The Team You Trust," and the company's customer satisfaction scores put the tire franchise in the company of elite brands like Apple and Nordstrom. Kent Coleman, who owns four Big O Tires locations around Salt Lake City, says customers respect and seek out the Big O brand. He purchased one of his stores from a competitor, and "when we put up the Big O sign, the sales of that store went up 30 percent! Our marketing hadn't even kicked in yet," he says. "I'd like to think I'm that good of an owner, but no one knew is. It was definitely the Big O brand." To learn more about why customers and franchisees love Big O Tires, visit www.bigofranchise.com, where you can download a free franchise report to learn more and start a conversation. Big O Tires again is the top-ranked tire franchise in Entrepreneur magazine's annual list of franchise opportunities. 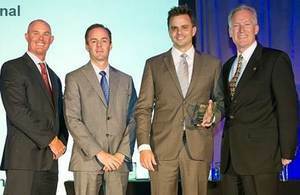 At center, Kory Coleman and Kent Coleman were recently honored by the International Franchise Association. 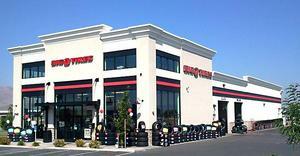 The brothers bought their first Big O Tires location in 2006 in Murray, Utah, and now own four locations. 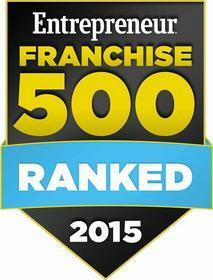 Big O Tires made Entrepreneur's Top 500 Franchises list. Big O Tires is an award-winning franchise with more than 50 years of history serving customers.